Echo Energy, the most active lessee in Oklahoma, has been focusing its efforts in Carter county. Newfield is leading the pack as the most active spacing applicant in Oklahoma with most of their activity taking place in the STACK. 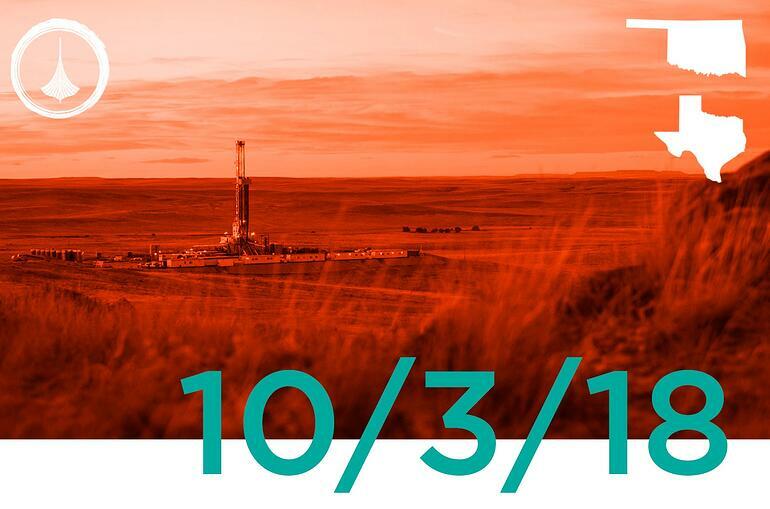 Calyx Energy III is the most active pooling applicant in Oklahoma with a focus on the Arkoma basin. Mid-Con Energy has purchased almost 150 wells from Scout Energy Management throughout northern Oklahoma. 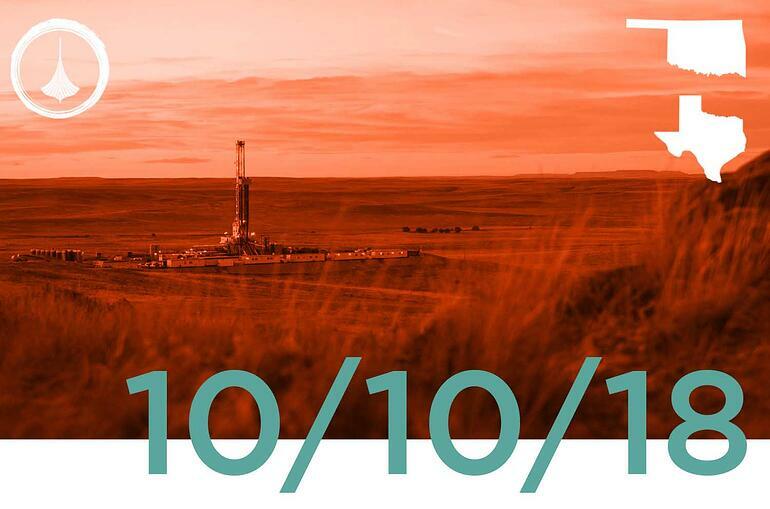 Circle 9, the second most active operator filing intents in Oklahoma, has been very active in Seminole county, filing more than 10 permits to drill in the past 30 days. 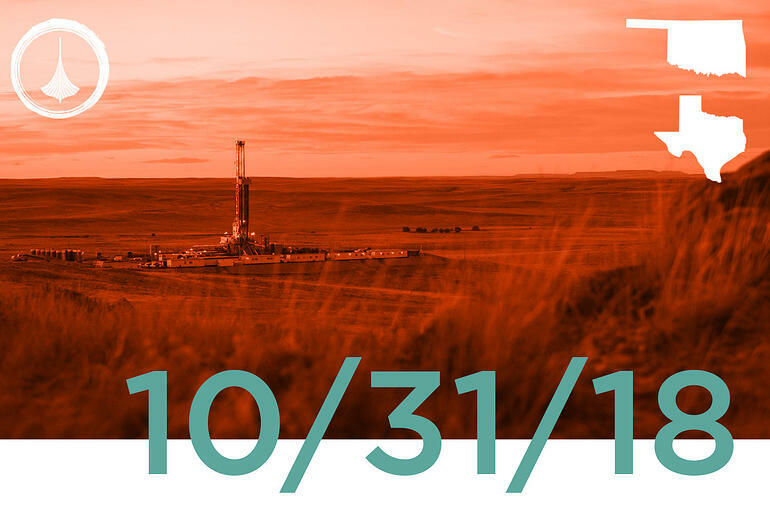 EOG continues to increase its drilling activity in Texas; they are once again the number one operator by intents to drill filed within the past 30 days. 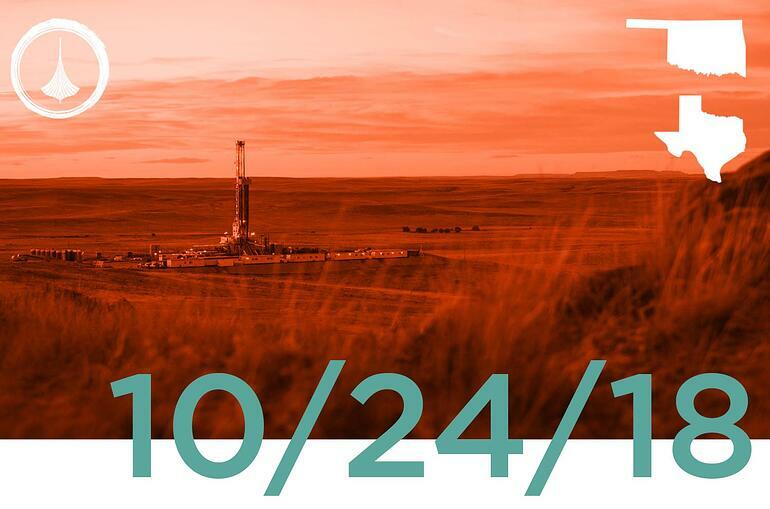 EOG’s activity is focused in the Eagle Ford and Delaware Basin. The SCOOP remains one of the most actively leased areas in Oklahoma. Kingfisher county is the most active county in terms of intents filed in Oklahoma. Roan Resources has upped the number of increased density applications in the Merge. EOG has become the number one operator in terms of intents filed in TX. Bridgeport Resources continues to increase leasing activity in Oklahoma and is the second most active lessee in the state. The majority of completions in Oklahoma are taking place in Kingfisher county, the heart of the STACK. The Merge has become the hottest area for spacing activity over the last 30 days. Newfield is picking up steam by once again increasing the number of intents to drill filed in Oklahoma. Endeavor has become the most active operator in Texas with its filings focusing in Martin county. The majority of leasing activity in Oklahoma is taking place in the SCOOP. Continental is currently the most active lessee in this area. Newfield has become the top applicant in terms of spacing in Oklahoma. All of their applicants have been filed in Kingfisher county within the past 30 days. The majority of intents to drill in Oklahoma are being filed in Kingfisher, followed by Grady county. Intents to drill in Texas remain focused in the Permian Basin, primarily Midland, Martin, and Reeves county. EOG has overtaken Pioneer as the operator who has filed the most intents in the past 30 days in Texas.